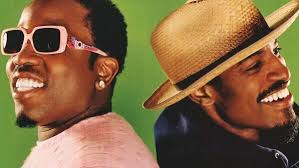 The Forecastle Music Festival, now in its 12th year recruits The ATLiens also known as Outkast , guitar legend Jack White and Beck as its headliners for 2014. Also, the Replacements are reuniting at the three-day festival, running July 18-20 at the Waterfront Park in Louisville, Kentucky. The three-day culture and music event also will feature a reformed Replacements and the first local show in 10 years for local indie rock legends Slint. “Louisville’s Own” Jalin Roze will also be performing at the Forecastle Music Festival. Check out his site jalinroze.com and follow him on Twitter at (@JalinRoze) for the latest updates! The rest of the roster include: the Replacements, Spoon, Against Me!, Charli XCX, Band of Horses, Jenny Lewis, tUnE-yArDs, Sharon Van Etten, Action Bronson, Sun Kil Moon, the Black Lips, Ray Lamontagne, Nickel Creek, Dwight Yoakam, Sharon Jones & the Dap-Kings, Gary Clark Jr., St. Lucia, Flume, Local Natives, Avey Tare’s Slasher Flicks, Twenty One Pilots, Jason Isbell & the 400 Unit, Trampled By Turtles, Lord Huron, JJ Grey & Mofro, Brett Dennen, Tourist, Lucius, Nightmares on Wax (live), Claude VonStroke, Spanish Gold, Drew Holcomb & the Neighbors, Reignwolf, Waxahatchee, Chrome Sparks, Hayes Carll, Willie Watson, Foy Vance, the Districts, Benjamin Booker, Johnnyswim, Leagues, Old Baby, Blue Sky Black Death, Matrimony, Mount Moriah, Seluah, the Weeks, Young & Sick, Jill Andrews, the Wans, and Goodbye June. A limited number of weekend passes will go on sale at noon Friday at Forecastlefest.com. The passes start at $144.50, plus service fees. VIP experiences, travel packages and payment-plan options will also be available. Full details are available at forecastlefest.com/tickets. Single day passes and late-night show tickets, along with the daily schedule of artists and late-night events will be available soon. Stay tuned for more details.